Boston Handmade: Boston Handmade T-Shirts NOW AVAILABLE Online! Boston Handmade T-Shirts NOW AVAILABLE Online! The response has been overwhelming and we are delighted to announce that our 2011 Boston Handmade T-Shirts are now available for purchase online! 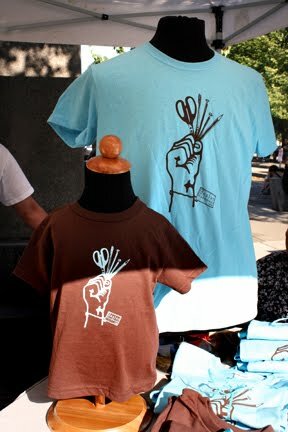 We are selling these T-Shirts as part of our fundraising efforts to support our mission and programming. As Boston Handmade strives to increase visibility for locally handmade art and craft, we continue to sponsor creative and business opportunities for independent artists including exhibitions, workshops, networking events, and lectures. The goal of our current major development effort is to establish a permanent space for expanding our programming and maintaining a year-round retail gallery celebrating all things handmade. 100% of the proceeds from T-Shirt sales will go towards realizing our vision. Quantities are limited so buy your Boston Handmade T-Shirt TODAY!